An assistant professor at the New York Institute of Technology is hoping he can build a better jockey helmet. Dr. Milan Toma has begun a research project funded in part by a $15,000 donation from the New York Thoroughbred Horsemen's Association to apply his knowledge of fluid movement in the body to testing helmets currently on the racetrack. Toma has spent his career examining the way different fluids behave in the heart and brain. One of his areas of focus has been the movement of cerebrospinal fluid, which surrounds the brain, at the time of head trauma. When a person suffers a concussion, the injury to their brain is not at the exterior spot where their head was hit, but inside the skull. A blow to the head jolts the brain and cerebrospinal fluid within the skull, and it is this bumping inside the skull that causes damage to the brain. Toma, who has previously researched head trauma in motorcycle accidents, has developed a computer model which can predict concussion symptoms based on location of impact. Injury to different parts of the brain results in slightly different symptoms, as well as different timelines for their appearance. Ill effects from some types of brain injuries could take a few days or even a week to appear. Toma said there are lots of computer-simulated models aimed at replicating the movement of the brain during head trauma, but few are as complete as the one he has engineered. Toma became acquainted with former jockey Ramon Dominguez, who suggested NYTHA and the researcher could work together to apply this information to head trauma in jockeys. Using one of Dominguez's helmets for guidance, Toma has begun the process of creating a computer-simulated version of a typical jockey's helmet to go with his computer model of the brain. He will simulate impacts to the computerized head with and without the digital helmet to see how the helmet protects the brain (or doesn't) from different types of impacts, and what resulting symptoms would look like. He also hopes to model and test another type of helmet for comparison. One thing Toma noticed immediately when Dominguez handed him the helmet — it's heavier than the ones he encountered working on motorcycle injuries. A lot heavier. “From my own experience with helmets, not for horse racing but in general, there is a lot of materials that can be used inside the helmet to protect the head. The most advanced helmets are using honeycomb materials,” he said. Toma anticipates the project will take about a yeara nd expects to submit his findings for publication at its conclusion. 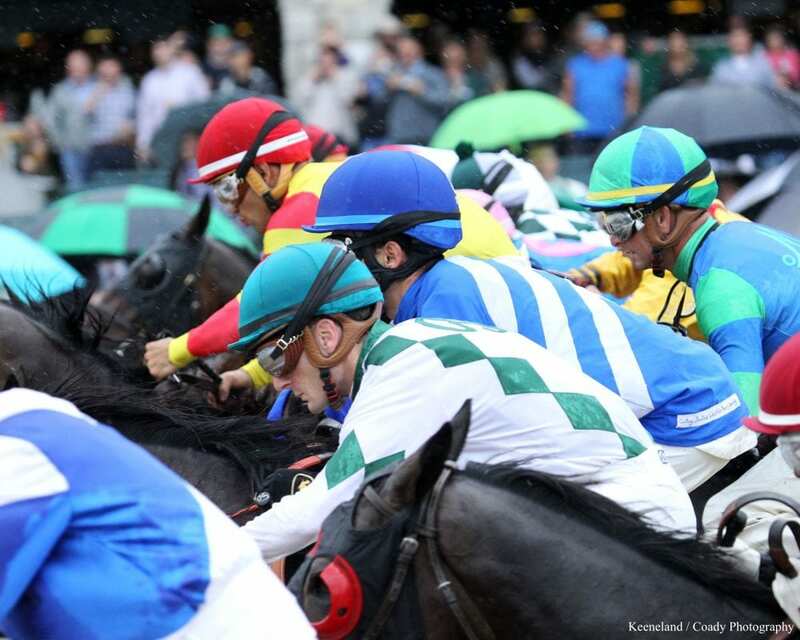 This entry was posted in NL List, The Biz and tagged concussions, dr. milan toma, head injuries in jockeys, jockey spills, Jockeys, New York Thoroughbred Horsemen's Association, NYTHA, ramon dominguez by Natalie Voss. Bookmark the permalink.